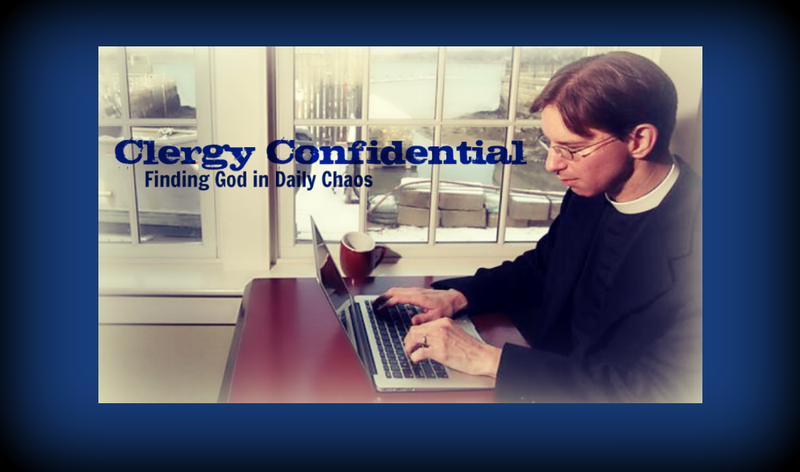 Clergy Confidential: What's Up with the Pink Candle? What's Up with the Pink Candle? 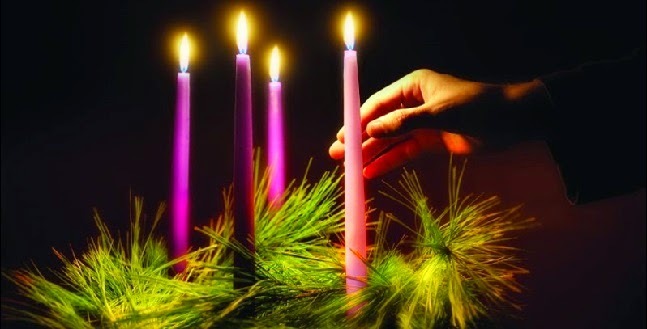 On the Third Sunday of Advent, many churches light a pink candle on the Advent Wreath. We don’t do this for mere aesthetics — we’re not inserting an "accent" candle to brighten things up. Nor is it because the powers that be secretly hope Pink Floyd's "Comfortably Numb" will replace the opening hymn. No, that third candle is pink (or technically rose-colored) because it’s Gaudete Sunday. Okay, let me back up and do some explaining here. First of all, we refer to the Third Sunday of Advent as Gaudete Sunday (pronounced gow-dey-tay) because the introit for the mass begins “Gaudete in Domino semper: iterum dico, gaudete” meaning “Rejoice in the Lord always: again I say rejoice,” based on Philippians 4:4. While much of the penitential nature of the season has been lost in favor of hopeful expectation, some of the readings still do sound this note, as do the seasonal collects, as Scott Gunn pointed out in a recent blog post. The Third Sunday has traditionally been a respite from the penitential themes of Advent emphasizing instead the joy of the coming of the Lord. Thus many view the pink candle as emphasizing joy. As with most things liturgical, however, there is not consensus here. Some associate the candle with Mary and perhaps there’s confusion because Laetare Sunday — the Fourth Sunday in Lent — is the other occasion for rose-colored vestments. This is a slight misnomer, however, because this so-called Mothering Sunday refers not to Our Lady but to an old practice in England where the rich gave their servants the Sunday off to go home and visit their mothers. Indeed, Mary appears in the readings for the Fourth Sunday of Advent, not the third. To go even further back, it’s worth looking at the history of Advent wreaths themselves. There is evidence that some pre-Christian Germanic people placed candles on wreaths in the middle of winter as a symbol of hope that the warm weather of spring would return. And ancient Scandinavians placed candles on wheels in “the bleak mid-winter” as an anticipatory devotion to the sun god. It wasn’t until the Middle Ages that Christians adopted the practice of the Advent wreath as a pre-Christmas devotion. As I mentioned, some churches use rose-colored vestments twice a year — on the Fourth Sunday in Lent and the Third Sunday of Advent. Both days are seen as times of refreshment, feasting, and joy amid a penitential season. As well as an opportunity to look silly in pink, I mean rose, colored vestments. So there you have it — a brief explanation about the pink candle that will be lit this Sunday. And as the light continues to build on the Advent wreath, so may the hopeful anticipation of meeting Christ anew build in your heart during this holy season. You know what happens if you use the wrong color of candle? You RUIN ADVENT. So make sure you're using the right colors. I've learned the hard way. have always loved the enigma of purple-purple-pink-purple. everyone seems to want to put it 4th; knowing it's third is kind of like the episcopal secret hand shake.It's almost like when we pass on to heaven, the pearly gates will be locked with a padlock, and the combo will be purple purple pink purple. My understanding has always been that the purple symbolizes penitence as we get closer to the coming of Christ, which in the end will be symbolized by a white candle. The pink says penitence has worked and we're almost at the appearance of Christ. The lighter pink shows movement, progress in the journey of Advent. Actually the use of purple and pink candles is a rather late development for Advent wreaths. Liturgical candles should always be white as they represent the Light of Christ. Originally, the four white candles were decorated with a purple or pink ribbon to coordinate with the four Sundays of Advent. Now we forego the ribbons and simply use the colored candles. I personally favor white candles. I'm Lutheran- gotta go with blue candles. But I grew up, a Lutheran minister's son, with white, all purple, and two purple/1 pink/1 purple, and finally the blue. I've done it all, and ultimately, it's hard to do it wrong. Because Advent is, "it's the most wonderful time, yes the most wonderful time, it's the most wonderful time of the year!" I'm an all blue priest in Advent. Have been since 1979. Purple and pink worked when Advent was "little Lent." No more. Do blue and emphasize hope or purple and emphasize repentance, with a little joy on 3rd Sunday. Be consistent. And here I always thought it was because one year the dye didn't work in the candle making so the altar guild had to come up with some symbolism to cover it up. I have no problem with the pink candle; it's included in the Advent candle set. But a complete set of Rose Vestments to use twice a year?? Seems like not much bang for the buck. There's actually no evidence of liturgical use of Advent wreaths before the middle of the nineteenth century. The first ones had red candles for the Sundays of Advent, sometimes interspersed with white ones for each weekday. It's not until Catholics and Anglicans adopt the custom in the first third of the twentieth century that we see purple and rose candles in the wreath, and blue comes still later as American Episcopal churches invent the allegedly ancient custom of using "Sarum Blue" vestments and paraments for Advent. It seems a little odd to me that we sometimes use a rose candle with the blue ones, since rose was originally meant to be a lighter shade of the purple of the season. Heh. Learned something entirely new...as a Baptist we had NO advent wreathes or candles. Very interesting. Merry Christmas! Just returned from Regensburg where we were shown an 'Advent' wreath on the town fountain which had 24 red candles and four whites. We were told it was put there originally by the Bishop to show the children who were constantly asking when Christmas would come. He put a red candle for each day and a white for each Sunday and told them when they were all lite it would be Christmas. We were told the wreaths were used about mid 19th century in Anglican and Lutheran churches, gradually picked up by other Protestant churches in the 1930s in the USA. Every cathedral we went into had a giant wreath suspended over the Table with four red candles. 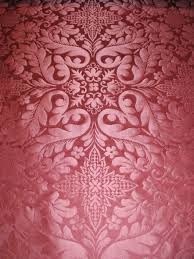 I guess the bottom line as i see it is like quilting….no right or wrong, just use what speaks to your heart.